Eyecon present a five reel, three row, twenty five payline online slot with a focus on traditional slot gaming. This game is set in the adventure genre, taking elements from Native American mysticism. There are free spins and a bonus gamble feature, along with an RTP of 95.44%. This game is best played at UK Slot Games, where you can also play over 600 slot games, including ‘Starburst’, ‘Rainbow Riches’, ‘Fluffy Favourites’ and ‘Bonanza’. There are very few people out there who’ve never seen an old fashioned, Wild West, “Cowboys and Indians” movie. Of those who have, many of us have a guilty secret; we often wanted the Indians to win. Firstly they were the underdogs; armed with bows and arrows as opposed to guns; and everyone loves an underdog story. Secondly everything about them just seemed cooler. They had a culture rooted in spiritualism and mysticism and they seemed at one with nature. Eyecon Games know that a lot of people have an affinity for Native American imagery; and that’s why they drew their inspiration directly from it when they were making Shaman’s Dream. Shamanism isn’t purely a Native American pastime of course; there are many cultures all over the world, in every continent, who at some point have believed in Shaman. A Shaman is simply a spiritualist with the divine ability to heal. Spiritualism in general isn’t an area that gets served by too many slot games, so Eyecon are killing two birds with one stone here. This game is set firmly in North America, somewhere around two hundred years ago. The theme is used consistently and strongly; the reels and slots have been lashed together with wood and bindings, the background sees the sun setting over mountains and canyons, and when sound effects are played (usually when you’ve won something), you’ll get pan pipes and suitably authentic music. All the paylines are helpfully indicated by white feathers. Every symbol is in perfect keeping with the theme, too. There are no card-style low value symbols here; instead you have a totem pole, Native American jewelry, a tee-pee, a dagger, a girl who bears more than a passing resemblance to Pocahontas, a wolf (who occasionally howls), an eagle, some tomahawks, and of course the titular Shaman. The Shaman has an assistant, who’ll also appear on your reels. Above and beyond the regular symbols is a white wolf. It’s wild, as all wolves are, and substitutes for any symbol other than the scatter, as well as doubling the winning value of any combination it contributes to - that’s a common and very welcome feature in a lot of Eyecon games. The scatter symbol is a Dream-catcher, which we’ll talk about in a moment. Every possible chance to connect this game to its theme has been taken, and the result is an immersive, authentic experience which is both respectful to its subject matter, and fun to play. 1. Free Spins: Free spins can be triggered by finding three or more of the Dream-catcher symbols on the reels. They can be on any reel in any order, so long as they all display at the same time. This isn’t an advanced or complicated feature, but it is a generous one. Any winning combinations you find during the free spins are multiplied by a factor of three, and if part of that combination involves a wild, then your prize doubles again. That means you can potentially earn up to six times more than a standard win for any line. The free spins will re-trigger if three or more scatter symbols re-appear during the existing set. In total, you could receive up to four hundred free spins if you’re lucky enough for the symbols to keep on falling your way. 2. Gamble Feature: Gamble Feature is there for the bolder gamers among you; it offers you the choice to take a double or nothing bet on any win you make. It’s a simple case of picking one from two options; one will double your prize, and the other will lose it completely. If you’re successful, and exceptionally brave, you can gamble again up to five consecutive times. Obviously, that means massive increases in your total pot, but a fifty percent chance of losing everything you’ve built up, every time you choose to gamble again! This might be the way you find out whether you really do have nerves of steel. They took their time to get it right, and didn’t put their first release onto the market until they were sure they had a hit on their hands. That was 2003’s ‘Temple of Isis’, which is still popular with players today. One of their key strengths has been to make games that are designed to last for a long time; instead of hopping onto the latest trend, or building games around a theme that will only be popular for a year or so, they create games with the intention that they’ll have a timeless appeal, and keep players coming back year after year. In an enthusiastic summary of Shaman’s Dream on their website, Eyecon say:- “Shamans Dream is one of the most popular online video slot games! You can go back in time and discover and learn all about the Native Americans, including exploring their fascinating traditions. 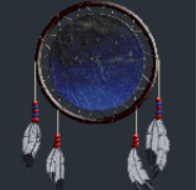 The shamans are said to be the guardians of magic and wisdom in ancient Native American culture, which makes for an extremely interesting and exciting gaming experience in Shamans Dream. Eyecon, as you can tell from the level of excitement within their own write up, are absolutely buzzing for you to play the game. We understand why; it’s obvious from playing it that a lot of love and care went into putting it together, and the end result is an engrossing and exciting slot game. As with any game that’s been a success, there’s always a temptation for the developer who made it to create a sequel, or a spin off of some kind. Eyecon have done that, but they’ve also taken the curious approach of making a game that has a similar title, but isn’t actually related to the original game in any way. This is the sequel-of-sorts to the original game. Nothing really changes from the original to this game other than the mechanics. The scenery is the same, the sounds are the same, the bonus rounds are the same and to all intends and purposes it’s a clone of the original; with one exception. Shaman’s Dream Jackpot is linked to a progressive jackpot that could net thousands of pounds for its winner. The progressive jackpot can be triggered on any spin (whether you find a winning combination or not), and is linked to one of three jackpots. The Mini Jackpot has an upper limit of £750, the Maxi Jackpot is capped at £3,500, and the Mega Jackpot goes all the way up to £15,000. Add to that the fact that you can also gamble your winnings if you’re exceptionally brave, and that means the very top prize is £32,000. Whilst some people describe this as a sequel to Shaman Spirit, Eyecon have never advertised it as such; it’s just a game that happens to share the theme, and part of the name. As you might expect, Shaman Spirit also has an essentially Native American feel to it, but the visuals of the game are brighter and a little less realistic. There are also fewer symbols; many of the images from the Shaman's Dream game are replaced by traditional card symbols at the lower values. Fundamentally, the game is very much the same; it’s a simple game without any complex features, and a limited number of bonuses. The scatter on this game though can offer you up to 450 times your initial stake, so it perhaps it’s one for those who like to go seeking multipliers. RTP comes in at 95.4%. The sister game to Shaman’s Dream also comes in a progressive jackpot format. They want it works here is exactly the same way it works in the Shaman’s Dream Jackpot slot; the base game is identical and works in the same way, but the progressive jackpots will trigger at random and start their related games. The same three prize pots are there for players to aim at, with the same maximum prizes on offer. Much like Shaman Spirit itself, this looks and feels like a more stripped down version of Shaman’s Dream; perhaps more suitable for beginners. Neither Eyecon or Shaman’s Spirit have a trademark on Native American culture, and so elements of it have been used in other slot games before now, with varying degrees of success. If you love the Shaman’s Dream game, and you’d be interested in playing online slots that have a similar theme, then you might be interested in some of the below. 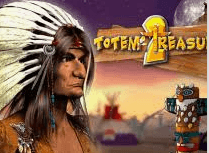 This legendary Pragmatic Play slot definitely borrows the scenery and the atmosphere of the Native American world when it comes to setting out its theme; all that’s actually missing is a Native American. This is what Shaman’s Spirit might look like if the humans walked away and left their animals alone for a while! Wolf Gold is a relatively new game that took the industry by storm when it was launched, blending simple but well-executed bonus features with some sleek animation. The RTP on offer here is 96%. Oddly, games that focus on the imagery of Native Americans tend not to feature Native Americans in them, other than the pairing of Shaman’s Dream and Shaman Spirit. There are none to be found in Wolf Run either, but there are plenty of canyons, full moons, wolves and totem poles. It isn’t visually stunning, but it does offer 40 paylines with an RTP of 94.98%. The way that wilds stack up tend to mean small wins are quite likely, too. It’s a fun game, but lacks the elegant design and detail of Shaman’s Dream. Spotting a theme yet? This is an IGT game, and has been made using a template that applies to many of their titles. Like the two games we’ve mentioned above, it’s full of animals and scenery that come from the world of canyons, prairies and Native American culture, but there’s not so much as a Native American in sight. 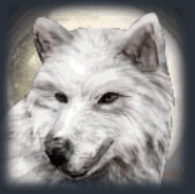 The graphics are extremely basic, but the sound effects are nice; especially the howling wolf. There are 30 paylines available, and an RTP which starts at 92.50%. This is a fun game but also a simple one; and as Shaman’s Dream is simple enough already it would be difficult to say that Coyote Moon offers anything that Shaman’s Dream doesn’t. Inspired Gaming have come closer than anyone else has to actually featuring a Native American on the reels; there’s one just about visible on horseback on the wild symbol from this game. This is a five reel, twenty payline game that has an interesting bonus feature which involves stacking symbols from a totem pole in order to maximise your winnings. It’s quite a novelty, but it’s also a very basic looking game. The 96% RTP is a fair one, and there’s also a progressive jackpot to aim for, but you can choose to pursue a progressive jackpot in versions of either Shaman’s Dream or Shaman Spirit if you so wish; and they’re a lot nicer to look at. Eyecon are exceptionally good at adapting their games to the smartphone or tablet format. They know which way the wind is blowing when it comes to mobile gaming, and they want to ensure that all of their online slots are available to mobile players. 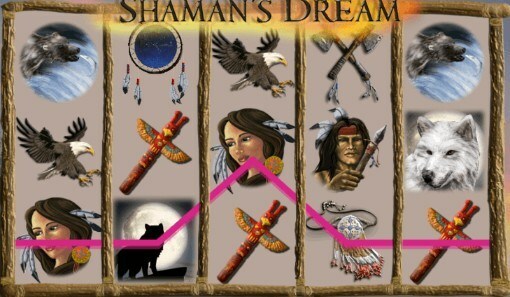 Accordingly, Shaman’s Dream has been perfectly optimised for the tablet or smartphone. Everything from the original game has been carried over and translated faithfully. The game adapts itself for your view whether you’re playing in portrait or landscape mode, and relocates the buttons so they don’t get in the way of the playing area. Helpfully, they also make sure that the play area is maximised no matter which way round you’re holding your phone or tablet. That means you don’t have to squint or zoom in to see what you’re doing. The buttons are just the right size for you to be able to use them without having to worry about accidentally pressing the wrong thing. You could actually say the game looks better in the mobile format; because of the way the backdrop adjusts to the display, you can actually see more of the skies and the canyons than you can on the desktop version. That adds to the atmosphere a little bit, and it’s a nice touch. There are no lost features, bonuses, graphics or sounds from the desktop version to the mobile version. It’s a complete port of the game, and it works perfectly. Very successful games often find themselves to be the talk of the gambling industry, and sometimes even the press from outside the gambling industry will pick up on how well a game is doing and make reference to it. Shaman’s Dream has been out for quite a while now, having been released in 2015, and so reporting on it has died down a little. That doesn’t mean that nobody’s paying it any attention, though. Vents Magazine recently ran an article on online slots that had a spiritual theme, and unsurprisingly Shaman’s Dream made the list. Given the subject nature of the game, and the fact that nobody else seems to make games involving Shaman or Native Americans at all, it would be kind of insulting if it didn’t! Why Is UK Slot Games The Best Place To Play Shaman’s Dream? If you can now hear the spirits calling you to play Shaman’s Dream, it’s because you’ve read this review closely, and the appeal of the game has spoken to you! It’s a great game and one that we’re confident that you’ll enjoy playing, so if you think it’s the right one for you, we advise you to dive right into it. Don’t do it just anywhere, though. We’d really love you to play the game right here at ukslotgames.com. Secondly, we don’t force you to deposit money when you first sign up. Everybody is welcome to make an account, and you can then browse our entire catalog to find a game you really want to play before you hand over any money. Shaman’s Dream is a fine place to start, but there’s no reason to stop there! In fact, we do the opposite of forcing you to hand over money. When you sign up, you could win up to 500 free spins on our games just for doing so!